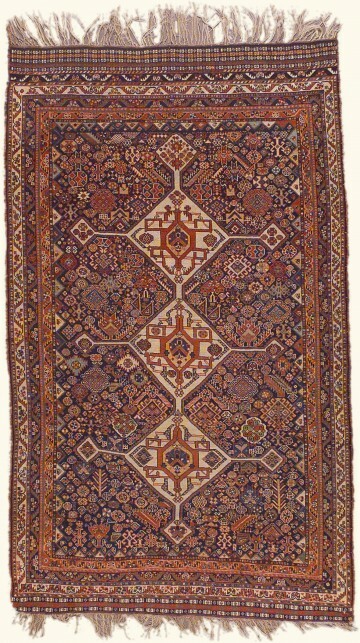 High in the Zagros Mountains west of Shiraz, Qashgai weavers hand-crafted this antique jewel. 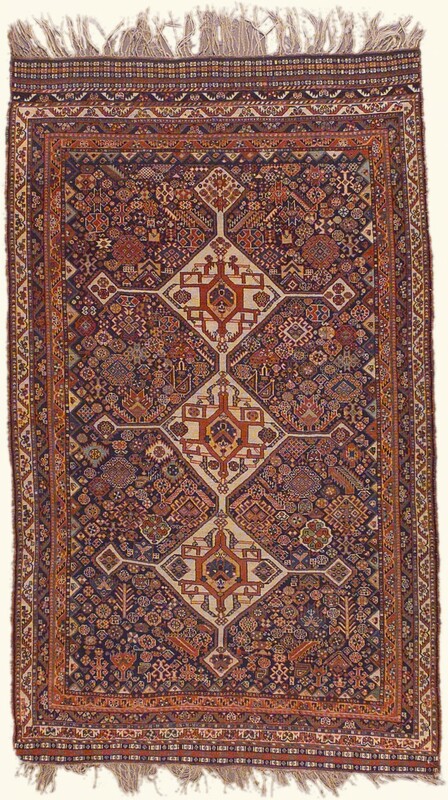 A rich artifact of nomadic culture, the Qashgai rug was passed down from mother to daughter according to tradition. Intricate design elements include a potpourri of stylized floral and animal icons. This Qashgai’s condition is near perfect, with full pile, original ends and edges of macramé and twisted fringe. A sought-after piece for the discerning antique rug collector.